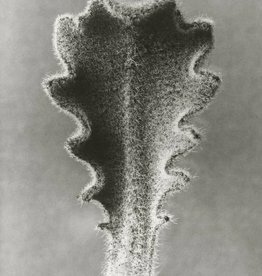 In the enlarged black-and-white images of Blossfeldt’s scientific photographs, specimens that measure just a few centimetres or millimetres across cease to be unassuming details of nature; they are revealed as veritable marvels of aesthetic construction. This art print was published exclusively by Die Photographische Sammlung/SK Stiftung Kultur, Cologne in cooperation with Universität der Künste Berlin. 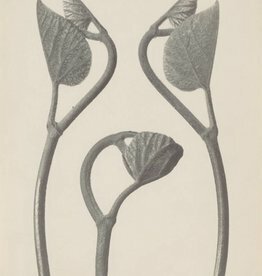 The two institutions have been partners since 1999, cooperating on academic and scientific support for the Karl Blossfeldt collection at the Berlin University of Arts. The basis for this digital art print, published in an edition of 150 copies, is an analogue reproduction of the 30 x 23.90 cm original photograph. Karl Blossfeldt (b. 1865 - d. 1932, Germany) was selftaught and since his youth a great lover of nature. As sculptor and modeller in a foundry for artwork, he used flowers and plants as inspiration for decorations. 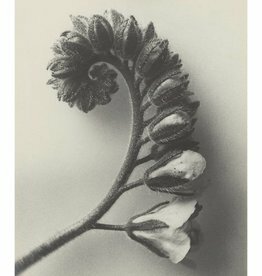 His participation in a study project in Italy under the guidance of Moritz Meurer in the 1890s became a turning point in his career for it was during this project that Blossfeldt began to systematically collect and photograph plants. His documentation served an artistic rather than scientific purpose. 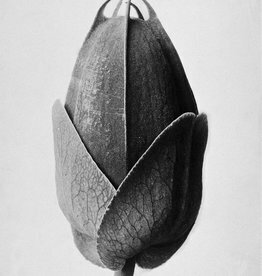 Blossfeldt wanted to study archetypes of nature through means of photography. Just as his teacher Meurer, he believed that archetypes were a source of inspiration for architecture, drawing and painting. 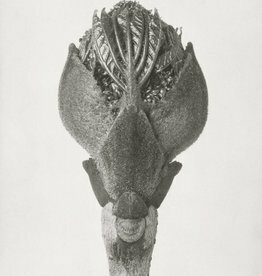 Blossfeldt photographed flowers and other plants with the aid of hand-made large-format cameras. He pruned away branches and leaves before photographing his specimens against a neutral background in close-up, to effect sleek geometric patterns. 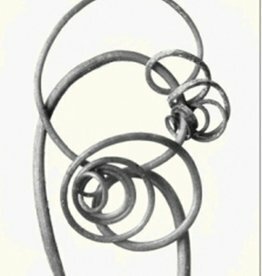 Blossfeldt is considered one of the pioneers of New Objectivity. He used his photo archive to serve his art instruction at the United State Schools for Fine and Applied Arts. Over the course of his life Blossfeldt made several thousand exposures.